I invite you to gather in a prayer circle for this upcoming new moon. 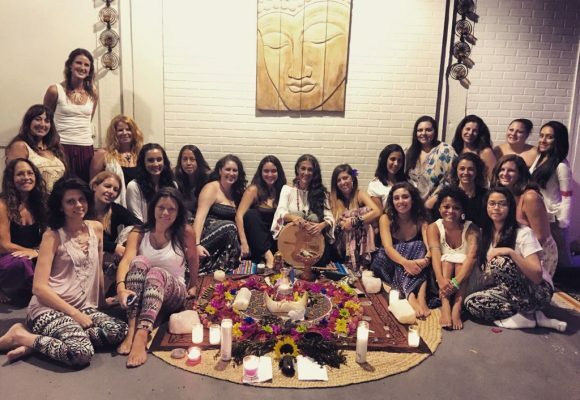 For many moons now we have been holding space women from all walks of life to come sit with us to honor our femininity, to share like sisters, to set intentions for the next lunar cycle. In the circle we use drums and other instruments to elevate vibration and move energy. We use herbs like copal, palo santo or tobacco for prayer & offerings. We sit on the floor the entire time. So please dress comfortably. This prayer circle has been created to inspire and support ourselves, to care take of Life itself! The gathering has an opening and closing , we ask that you please plan to stay for the entire ritual, it can go up to 10:30 pm. Here is a link to register for our gathering it has been a very large Circle lately and we want to keep it no more than 25 ! I thank you for my heart and can’t wait to see you again in our new women circle!